Lemon and rosemary are so wonderfully aromatic . No doubt they’ll fill up your home with refreshing scents. The orange reminds me a lot of the awesome scent of orange blossoms that bloom during spring. And the pinecones definitely remind me of taking a hike in the forest when the weather got warmer. 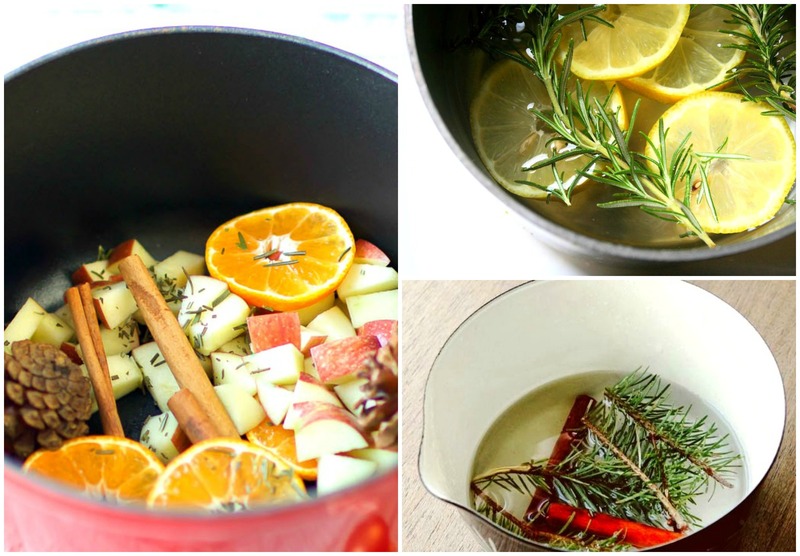 These two will definitely make your home smell like spring (other ingredients are optional)! Similar to the first one, this recipe has vanilla in it. So if you want that fresh and delicous vanilla bean scent, then definitely try this. I love this DIY idea of using fruit rinds as air fresheners. They’re so creative and make for super cute center pieces. What a great idea! I’ve never thought about this before but I’ll definitely try some of them ;). I can smell the lemon and rosemary! Luscious! do you just put the lemon and rosemary in a pot of water and let it simmer?